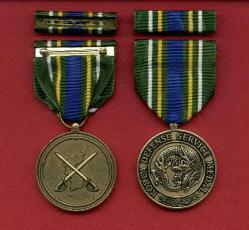 This is the newly issued Korean Defense Service medal with ribbon bar. Full size medal. Government issue. Made in the USA.